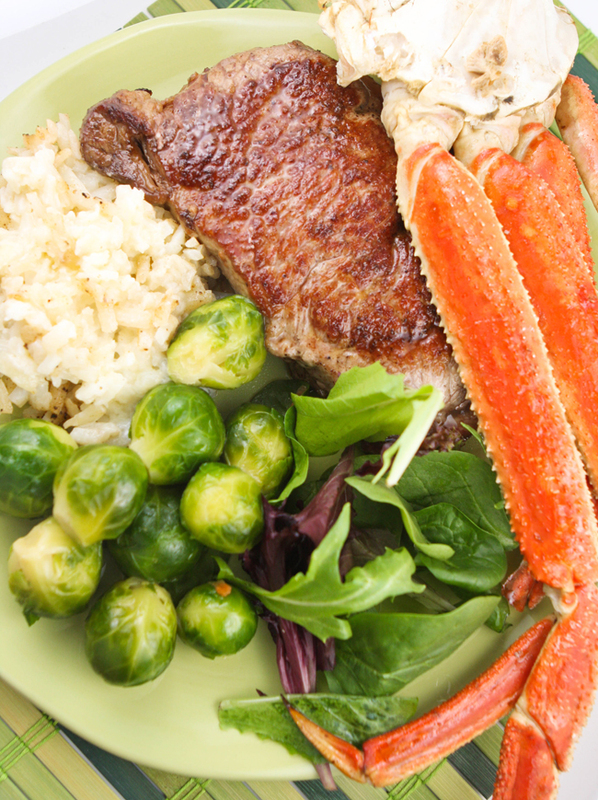 Perfect Pan-Seared Ribeye Recipe — Pip and Ebby - easy, delicious recipes! Who needs a grill?!? Your cast iron is the right place to prepare this steak for your meal. In 15 minutes you’ll have a tasty Ribeye. This is the most perfect and delicious steak you will ever taste! We just experienced one of those Top 10 weather days of the year here in Minnesota. It was a beautiful and totally perfect day. We spent a good portion of our day outside, cleaning up our yard and garage and chasing balls down the sidewalk. Our garage had gotten horrendous over the winter! I was embarrassed to even have the garage door open while we cleaned. It was bad. But Dan did an amazing job cleaning it up, and it looks great! Thanks, hubby! Along with lovely weather comes grilling. The two go hand in hand for us. We fired up the grill tonight, and that reminded me that I needed to post this delicious ribeye recipe that we made a few weeks ago. Dan did all of the cooking, so I give all the credit to him! Pat two 8-ounce (room temperature) ribeye steaks dry with a paper towel. Brush with 3 tablespoons of olive oil and season with salt and pepper on both sides. Heat a cast-iron skillet over high heat for 5 minutes. The skillet must be very hot! Add the steaks to the hot skillet and sear for 2 minutes on each side. Keep the steaks in the hot skillet and transfer to a medium-heated grill for an additional 2-3 minutes, or until cooked to your liking. Let the steak sit for 5 minutes, covered, before serving. This was delicious, you guys! The combination of searing and grilling made such a great piece of meat. Here's to lovely weather and a season filled with grilling! 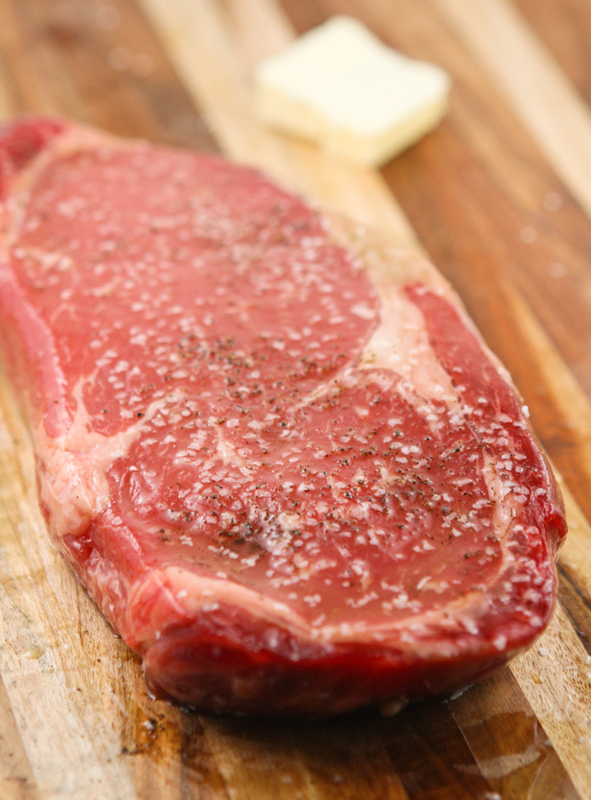 This is the most PERFECT and delicious steak you will ever taste! Pat ribeye steaks dry, and brush with olive oil on both sides. Season with salt and pepper on both sides. Heat a cast-iron skillet over high heat for 5 minutes. Skillet must be very hot. Add steaks to hot skillet and sear for 2 minutes per side. Keep steaks in the skillet and transfer to a medium-heated grill for an additional 2-3 minutes, or until cooked to liking. Let steak sit for 5 minutes, covered, before serving.